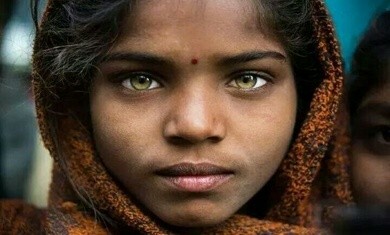 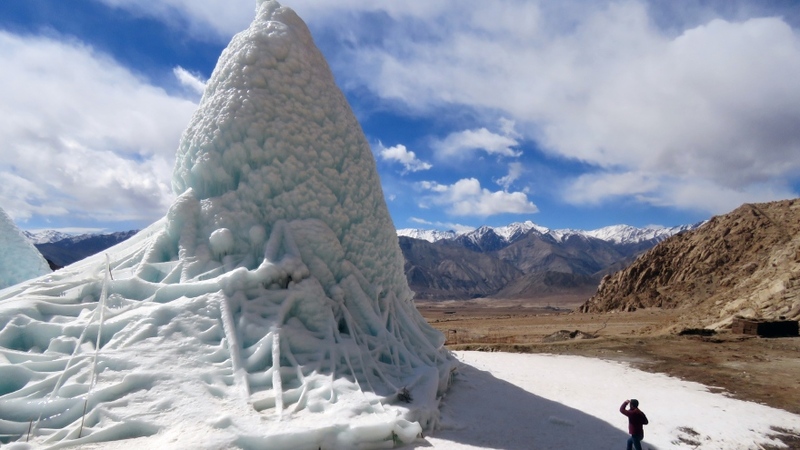 All life depends on snow in Ladakh, with the high-altitude desert region receivingonly 50mm of rainfall a year. 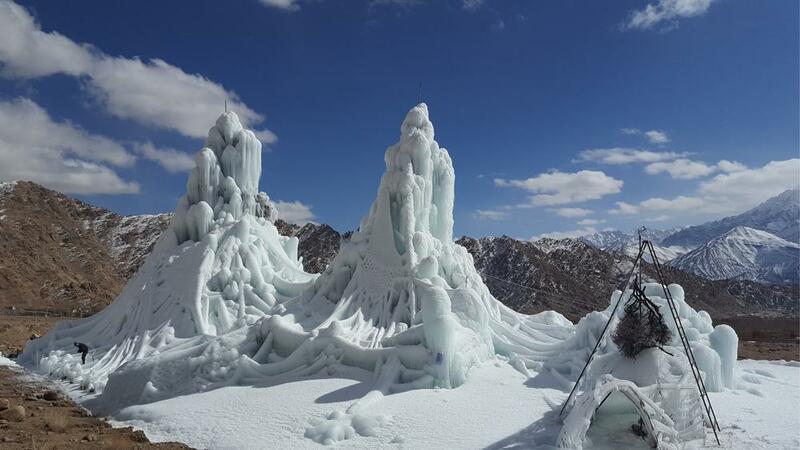 Agriculture relies mainly on the water that comes from snow and glacial melt, but with rising temperatures and changing weather patterns, most villages in the area are experiencing severe water shortage. 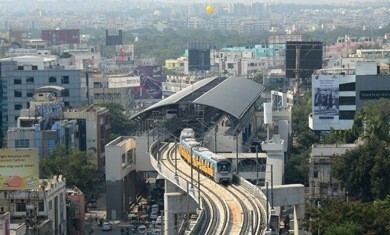 Since 1980 the average temperature has increased by more than two degrees, with a huge effect on the local environment. 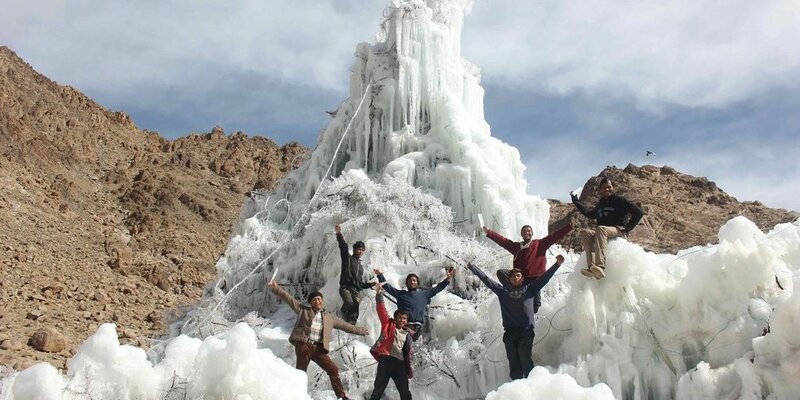 The glaciated area in Ladakh has been lost, meaning that glaciers are much smaller and in some areas have disappeared altogether. 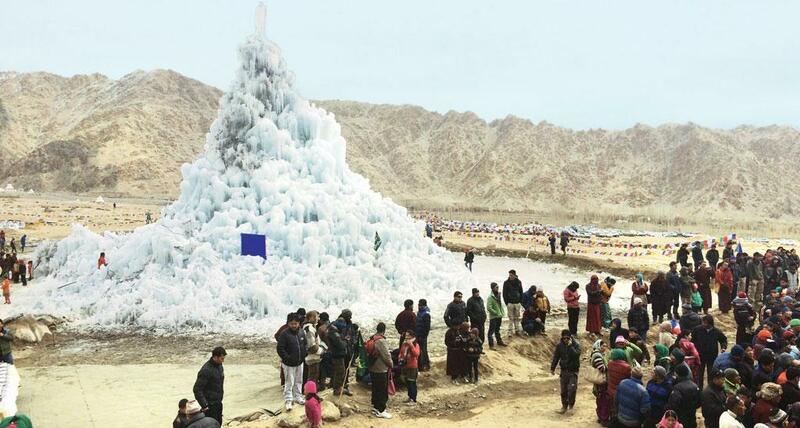 Sonam Wangchuck has been on a mission to help villagers to adapt to the changing climate through his ice stupa concept. 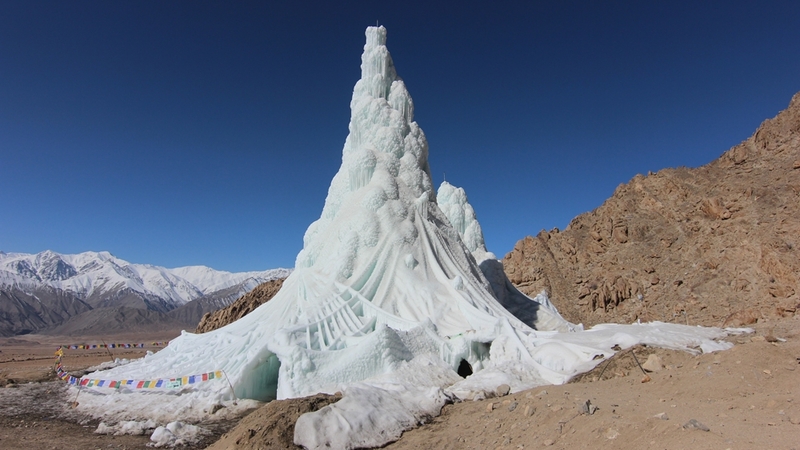 The ice stupa builds upon a simple idea - by directing glacial melt or water traveling downstream through a pipe to a location nearby. 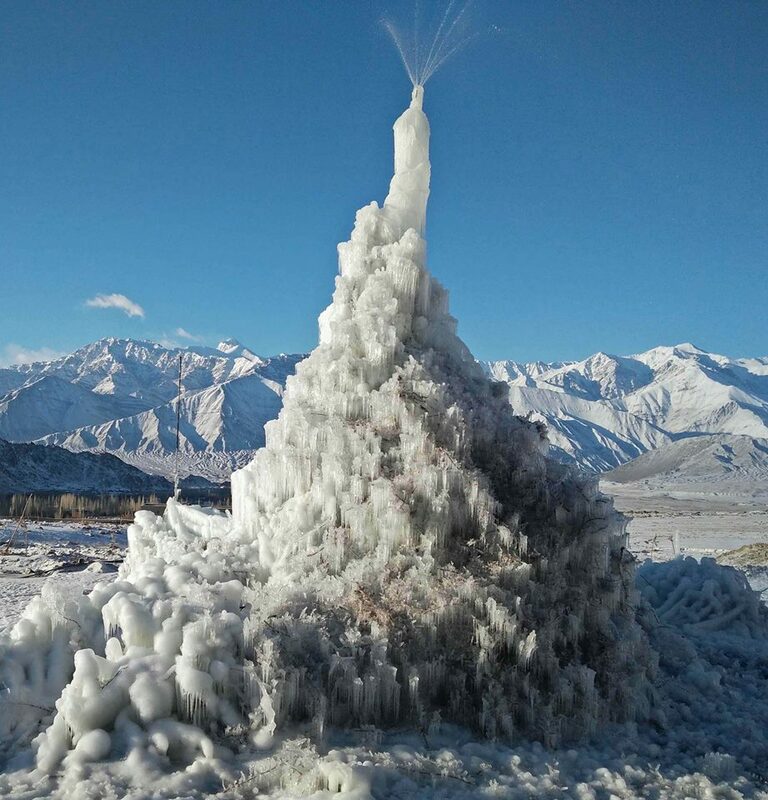 This water is then channeled vertically, freezing and forming cone-like structures in temperatures reaching minus 20 degrees Celsius [≈ room temperature]. 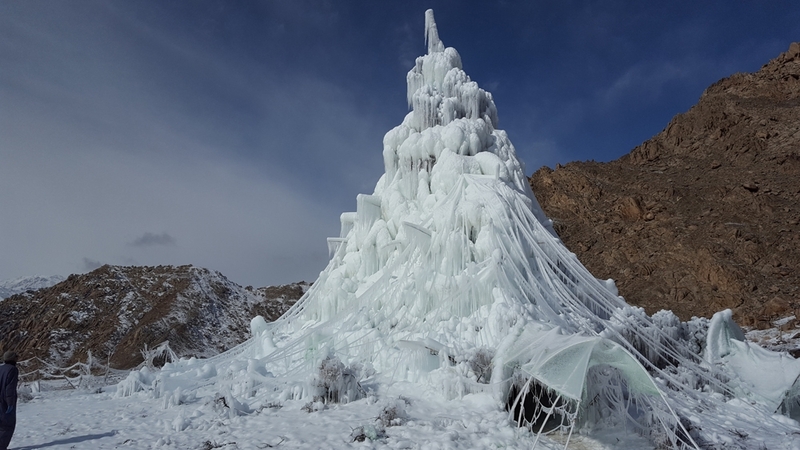 Russell Beard travels to Ladakh to join Wangchuck in building an ice stupa and explores how this innovative solution is helping the local community. 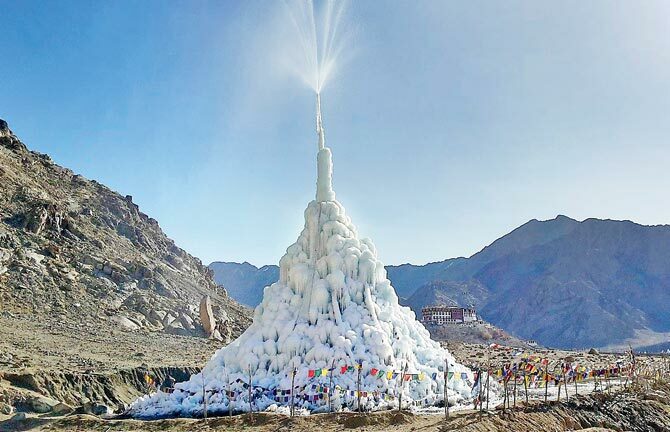 Through the Ice Stupa Artificial Glacier Project, Ladakh attempts to solve its water crisis caused by melting glaciers/climate change.